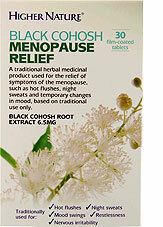 Remain calm and comfortable during menopausal years with the support of Concentrated Mexican Yam Extract. A traditionally remedy used to ease the often uncomfortable symptoms of the menopause, wild yam is a root vegetable commonly used in Asian cooking and known for its female-friendly health benefits. 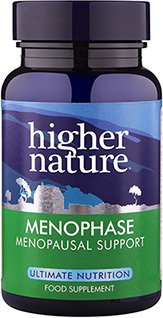 This supplement contain plant sterols found in high quality Mexican Yam, alongside a harmonious blend of vitamins, minerals, fibre, carbohydrate and proteins to encourage a comfortable, calm experience through the menopause. 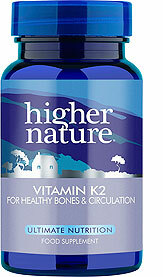 An Advanced Nutrition Complex multivitamin is also recommended. 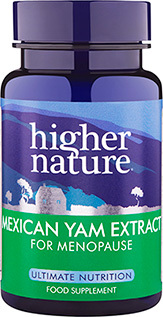 150mg Mexican Wild Yam rhizome standardised extract, 200mg Wild Yam rhizome standardised extract. i've used this for years now to balance out hormone related depression, i tend to take one tablet most days and generally know when i've forgotten to do so over a number of days as i then begining to get spots around my jaw and chin area then i remember to take them again. I have been taking Mexican Yam for years and have found its excellent.